From the first time I saw the cover for this book, I just new I had to read this novella. Especially since it has snow and a snowman on it. I LOVE snow!!! So, this cover was quick to catch my eye! And of course because it is by Sarah Monzon!!! She'd heard about not crying over spilled milk, but no one had ever warned against weeping over melted ice. 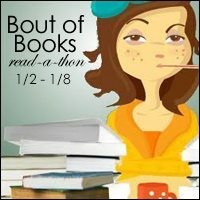 I am participating in the Bout of Books 18 Read-a-thon! For more details check out the schedule HERE. This is a difficult task. But I have compiled my list of top reads from 2016 in four different genres--Children's, Young Adult, Contemporary, and my all time favorite genre, Historical Fiction. What were your top reads for 2016? ​This novella is in the Christmas Kisses Anthology with several fantastic authors. I love anthologies and who doesn't love Christmas? It is that time of year and this is just the perfect story (and collection) to add to your TBR pile!! ​Chelsea Jamison snuck in the back door of Kenworth's Department Store. The Blue Ribbon Brides Collection: 9 Historical Women Win More than a Blue Ribbon at the Fair by Cynthia Hickey et al. Jennifer AlLee was born in Hollywood, California, and spent the first 10 years of her life living over a mortuary one block away from Hollywood and Vine. An avid reader and writer, she completed her first novel in high school. That manuscript is now safely tucked away, never to see the light of day again. She has worked in numerous fields, including as a church secretary and as an administrative assistant at a cable company, but wherever she works, writing always becomes part of the job description. Her first novel was published in 2007. Since then, she's published 11 novels and quite a few novellas with five different publishing houses. While she's thrilled to be living her dream as author, Jennifer considers raising her amazing son to be her biggest creative achievement. She lives in southern Nevada with her husband, Nic, who is a hunky Englishman and the best cabbie in Las Vegas. Angela Breidenbach is the captivating host of Grace Under Pressure Radio show on iTunes about becoming a woman of courage, confidence, and candor. She's a speaker/author/coach. Her newest book, Eleven Pipers Piping is the sequel to Snowflake Tiara: The Debutante Queen, a historical Christmas romance set at the beginning of Montana statehood. More books by Angela include A Healing Heart,#6 Quilts of Love Books from Abingdon Press, Gems of Wisdom: For a Treasure-filled Life, Creative Cooking for Simple Elegance, and the Kindle release, Creative Cooking for Colitis. Other works by Angela include compilation books and devotionals from David C. Cook (The Quiet Hour), Guidepost, Group, and articles in magazines, ezines, and newspapers. Angela also coaches and is certified in mentor/peer counseling as a Stephen Minister and CTA life coach. She's the Christian Authors Network president. Don't miss the hijinks of Muse, the famous fe-lion, as he sasses Writer on Angie's blog, A-Muse-ings, and on Facebook. Award-winning author and speaker Darlene Franklin lives in cowboy country—Oklahoma and loves writing about the American West. Oklahoma also has the benefit of being the home to her son, his wife, and their four beautiful children. Darlene loves music, needlework, reading and reality tv. Talia, a Lynx point Siamese cat, proudly claims Darlene as her person. Darlene is the author of seventeen contracted books and novellas, as well as several hundred short pieces. Two of her books have finaled in ACFW’s Book of the Year (now the Carol award) contest: her novella, Dressed in Scarlet, and her cozy mystery, A String of Murders. Carrie Fancett Pagels is a multi-published award-winning author of Christian historical romance. Twenty-five years as a psychologist didn't "cure" her overactive imagination! She resides with her family in the Historic Triangle of Virginia, which is perfect for her love of history. Carrie loves to read, bake, bead, and travel – but not all at the same time! Visit her at http://www.CarrieFancettPagels.com. Tiffany Amber Stockton has been crafting and embellishing stories since childhood. Today, she is an award-winning author, speaker, virtual assistant, and freelance web site designer, who lives with her husband and fellow author, Stuart Vaughn Stockton, in Colorado. They have a daughter and a son, and a vivacious Australian Shepherd mix named Roxie. Amber has sold 11 books and 1 novella to Barbour Publishing with more on the horizon. Other writing credits include several writing articles for various publications, five short stories with Romancing the Christian Heart, and nine contributions to the book, 101 Ways to Romance Your Marriage. A born-again Christian since the age of seven, her faith in Christ has often sustained her through difficult experiences. She seeks to share that with others through her writing. Visit her at http://www.amberstockton.com. Niki Turner is a novelist, journalist, and blogger. Her first completed manuscript earned second place in the Touched By Love 2009 contemporary category romance contest. She writes for local newspapers, and won second place for best agriculture story at the 2013 Colorado Press Association annual convention. She also blogs at www.nikiturner.net and is a co-blogger at www.inkwellinspirations.com. 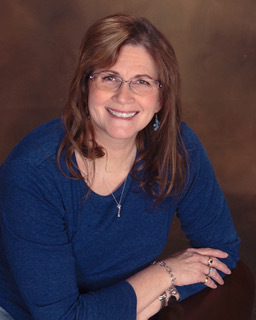 Niki is the Colorado Area Coordinator for American Christian Fiction Writers and is involved in establishing an ACFW chapter on Colorado's Western Slope, where she resides. She published “Sadie’s Gift” as one of the Christmas Traditions novella collection. Her next project, “Santiago Sol,” will be published by Pelican Book Ventures, LLC, as part of the Passport to Romance novella collection. Becca Whitham (WIT-um) is a multi-published author who has always loved reading and writing stories. After raising two children, she and her husband faced the empty nest years by following their dreams: he joined the army as a chaplain, and she began her journey toward publication. Becca loves to tell stories marrying real historical events with modern-day applications to inspire readers to live Christ-reflecting lives. She’s traveled to almost every state in the U.S. for speaking and singing engagements and has lived in Washington, Oregon, Colorado, Oklahoma, and Alaska. Nine splendid authors, Carrie Fancett Pagels, Angela Breidenbach, Darlene Franklin, Gina Welborn, Jennifer AlLee, Becca Whitham, Niki Turner, Amber Stockton, and Cynthia Hickey come together to create a charming collection with county and state fairs being a main theme in each novella. Each novella is filled with strong and charming characters, as well as an entertaining plotline involving romance at the fair. Readers will be thrilled with each author’s unique and individuality in the various delightful stories. 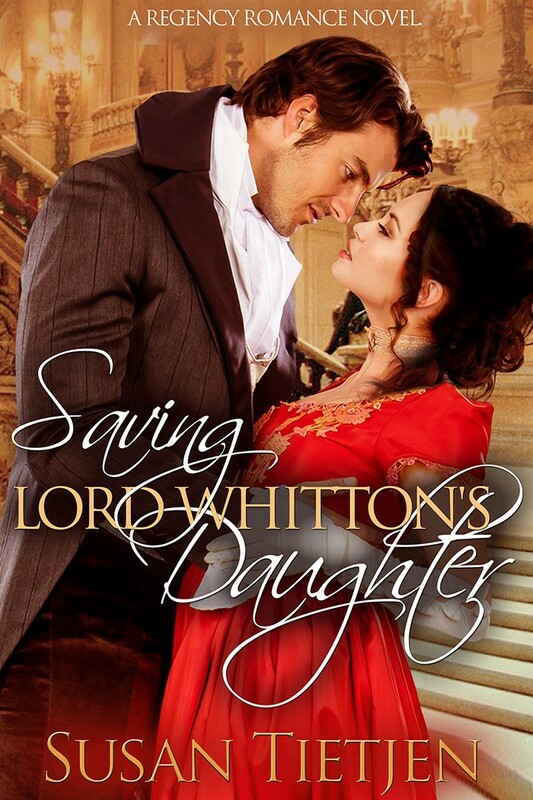 I would recommend this novella collection to readers that enjoy fairs and historical fiction. A review copy of this book was provided by Pagels' Pals. A review was not required and all views and opinions expressed are my own. Here is a list of 12 (yes I limited it this time) of books I am looking forward to for the first half of 2017 (Jan-June). Click the book to be taken to Goodreads and to add it to your TBR pile!!! What books are you looking forward to reading in the first half of 2017??? Aleksy, a dark-complected Tatar raised by a Polish peasant family, holds in his heart the wish is to become a Polish hussar, a lancer who carries into battle a device attached to his back that holds dozens of eagle feathers. As a Tatar and as a peasant, this is an unlikely quest. When he meets Krystyna, the daughter of the noble who owns the land that his parents work, he falls hopelessly in love. But even though she returns his love, race and class differences make this quest as impossible as that of becoming a hussar. Under the most harrowing and unlikely circumstances, one day Aleksy must choose between his dreams. ​It’s a Christmas sugarplum celebration! Christmas in Cutter’s Creek means a Christmas social; sugarplum contest, dancing, a dash of mayhem and a heaping helping of romance. First off is Kit Morgan’s Recipe for Christmas. This novella is set in 1866 and is the very first Cutter’s Creek Christmas social, and so much mischief happens, it’s a wonder they had another! Lucius Judrow from Love is Blind has a brother and he’s on his way to Cutter’s Creek. Come see who Eldon meets in this hilarious and sweet romance! The next is Vivi Holt’s Seasons of Love. It takes place in 1872. The social has changed just a bit. You’d think they’d learned with all the trouble, but no, the social is more fun than trouble. Margaret is a lonely school teacher from the East looking for a little love and adventure. She finds just that and a whole lot more in this sweet Christmas romance! Third Christmas novella is just a few years later and the social has changed yet again, to a cider competition! The contestants get a little rowdy and words are said that might ruin Christmas! Felicity will need special help to solve this mess. Find out more in Annie Boone’s Christmas Spirit. The fourth and final Christmas novella takes place in 1892 and rumors of Christmas social’s past dominate the festivities. Carol needs to find a husband and the new doctor in town provides a great opportunity. A snowball fight leads to romance in Kari Trumbo’s A Carol Plays. Find the Cutter’s Creek author’s on Facebook! ​Eldon had changed, a lot. He’d cut his long hair and now kept his face clean-shaven. He’d sported a long bushy beard and mustache for years and didn’t care much about his appearance. He was too busy. Besides, a bounty hunter didn’t need to look nice, he just needed to be good at his job. Eldon was quick to learn folks treated him different when the beard, long hair, and raggedy clothes came off. It also helped to smell nicer too. But the biggest change that got folks attention was the size of his bank account. Yes, they’d congratulated him on striking it rich, and a lucky strike it was, but they’d also treated him differently, some, grotesquely so. He half-expected a few old acquaintances to fall begging at his feet. Others acted as if they might rob him, given half the chance. Then came the ones that humbly congratulated him on his good fortune and went on their way. How, he wondered, would Lucius act? He spied the town up ahead and stopped his horse, suddenly nervous. He and Lucius hadn’t seen each other since they’d fought in the Chattanooga Campaign three years ago. Someone told Eldon that Lucius was taken down by some Yankee gone loco. There were other ridiculous reports, all of them false. All Eldon knew was his brother had gone missing. Whether he was alive or dead, he didn’t know, but thank the Lord he knew now. Once in town, he dismounted and tied his horse to a hitching post in front of the sheriff’s office. He then took off his hat, ran a hand through his hair and stepped onto the boardwalk. After he took a deep breath, he entered the small building. “Howdy,” a voice called from the other side of a half-open door. He’d no sooner turned around when the door in the main office opened, and in walked Lucius. “I got ya a ham sandwich, Albert and some apple pie. If we got time we can have a game of check …,” he stopped up short, almost dropping the plate in his hand, and stared at Eldon. Lucius’s jaw dropped like a brick. “Eldon? !” he squeaked. Before he could say anything more, Lucius launched at him and almost knocked Eldon over in the process. A wail from Albert mixed with the sounds of the brothers talking at once filled the room. “Of course, follow me. The café’s just down the street.” He turned, brushing crumbs from his shirt and vest. Eldon followed. They’d worry about the mess when they got back. “And don’t forget the pie!” Albert called after them. ​Margaret cinched her scarf more tightly around her neck and shivered as her booted feet crunched through the icy snow. The main street of Cutter’s Creek sparkled in the sunlight, and drifts of snow pushed up against storefronts and house walls all up and down the street. Juniper and hemlock branches drooped under the weight of the white powder, and icicles hung from the eaves. Her breath burst from her mouth in white clouds as she struggled along, being careful not to lose her footing. When she pushed open the door to the mercantile, a bell dinged above the doorway, announcing her arrival. She stamped the snow from her boots, and unwound her scarf to greet Abigail Smith. The bell over the door rang again, and Margaret turned to discover Mrs Agatha Waverley tapping her boots on the welcome mat. “Mornin’ Abi, mornin’ Meg. What a day it is.” Agatha had a habit of grumbling and complaining first thing, to get it out of the way so she could deal with the more important matters of conversation over the rest of the day. “Good morning Mrs Waverley. It’s lovely to see you on this fine day.” Margaret removed her gloves with a tug at each fingertip, and smiled at the older lady. She strode to the counter, and began perusing the wares behind it, calculating in her head the supplies she’d need to get through the week. Mrs. Waverly nodded, and followed Abigail, who was stacking a new supply of brooms in a corner of the store. “Did you hear about the incident over at the school,” she whispered conspiratorially, with a dip of her head. Margaret’s ears pricked at the mention of the school. She listened closely, her eyes still focused on a barrel of red and white striped candy. “No, I did not. But I’m sure you’ll tell me all about it,” sighed Abigail as she pushed the last of the brooms into place. She turned and hurried back to the counter to wait on Margaret. Mrs Waverly followed her like an eager pup. “As you know, Mr Waverley checks on the schoolhouse regular-like through the winter months, since no one else seems to feel the responsibility.” Here she paused with a meaningful look at Margaret, who was running her fingers over a bolt of blue and tan calico. She gasped in surprise and turned to face the women. Abigail’s face flushed red. She scurried the last few steps, to stand before Margaret. Abigail set about wrapping the items in brown paper. Mrs. Waverley waddled close, and interrupted them to continue. “Well, he went by the schoolhouse yesterday, and noticed smoke comin’ from the chimney. Well now, he says to hisself, ain’t no one supposed to be in there, then how come there’s smoke a’comin’ from the chimney?” She grinned with delight at the intrigue of her own story, and Margaret and Abigail exchanged a glance of aggravation. “Is that so?” asked Abigail, strumming her fingernails against the counter top. Felicity swallowed the curse that she wanted to fling at Lana. Her friend knew that she was a disaster in the kitchen. What kind of game was she up to? As she glanced at Josh’s dark blues eyes, she could see they were full of expectation. Maybe he didn’t know about her lacking cooking skills. Could this festival be a chance for her to show him that maybe she could be the woman he needed? That she was indeed the woman to nurture his appetite and his heart. “It’s everything she says,” Felicity mumbled. A smile tugged at the corners of Josh’s mouth, making the dimples in his cheeks deepen just a bit. She glanced away, biting on her tongue. It was a crime for a man to be this handsome. She managed to hold back the groan that wanted to escape. “Secrets from her grandmother,” Lana said, helpfully. “Well, I can’t wait to try it,” he said with a grin. Well she sure could certainly wait for him to try it. She didn’t have the first clue about cider except that it was made from fruit. It was, wasn’t it? Sugar plums that grew in the area, she thought. Oh, my. This was going to be a disaster. ​His back was so broad and his movements so sure. She scooped a handful of thick heavy snow into her hand, forming it into a ball. As he grabbed for his mitts she launched her snowball at his wide back, hitting him between the shoulder blades. She turned and rushed on her way. A snow clod landed at her feet exploding between her shoes. She danced away from the flying bits and turned, grinning at him. “You missed!” She laughed then shrieked as another ball hit her in the shoulder. The snow was deep enough she didn’t have to lean far for another scoop of snow. She formed it in her hands calculating her next toss. Dr. Gentry held up his hands. “White flag!” He smiled. He slid to the side avoiding the snow bomb. His intense eyes took her in as he walked slowly for her, forgetting the shovel. He stopped right in front of her. The passion in his gaze stopped her and she backed a step away. He gazed down into her eyes then down to her lips. She gasped and glanced away. “We should get you to the chapel.” His voice rumbled between them and he touched her elbow. Her heart tripped over itself as she backed another step from him. “I’m sure I can get there.” She turned and his grip grew tighter. She couldn’t leave, but part of her didn’t want to. Part of her wished they weren’t standing out in the street in front of everyone. A review copy of this novella was provided by author Kari Trumbo, as well as purchased on Amazon. A review was not required and all views and opinions expressed are my own. Kari Trumbo has written a cute and sweet Cutter’s Creek novella in A Carol Plays. It is about a young lady, Carol Williams who is determined to marry so that she and her father will be taken care of and don’t have to rely on her recently married brother to do so. Carol is sure she has found her match when Dr. Manning Gentry comes to town for a few weeks to take care of her father, but her father does not want them becoming involved. Readers will fall in love with spunky Carol as she does her best to follow her father’s wishes, even as she is falling for the kind doctor. A sweet and delightful holiday read, I would recommend this novella to readers that enjoy historical fiction and holiday reads.